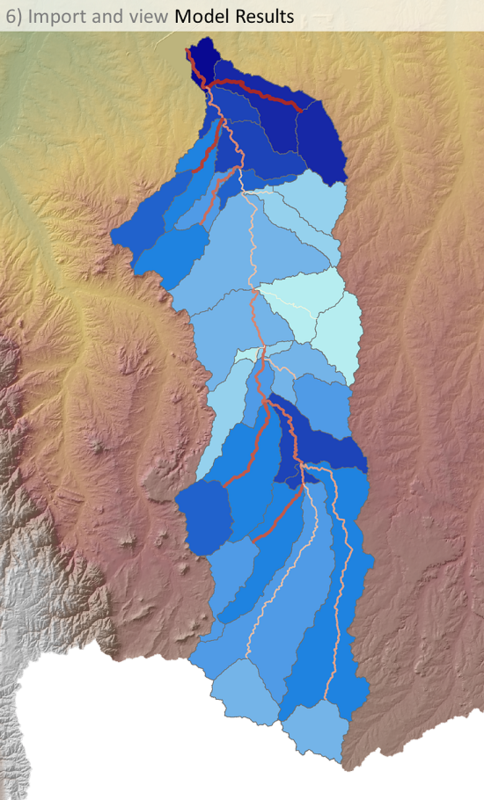 The Automated Geospatial Watershed Assessment (AGWA) tool is an automated, GIS-based watershed modeling tool that uses nationally available GIS data layers to parameterize, execute, and visualize results from the RHEM, KINEROS2, KINEROS-OPUS, SWAT2000, and SWAT2005 watershed runoff and erosion models. To facilitate this process, AGWA was created through a joint effort begun by the USDA-ARS Southwest Watershed Research Center and the U.S. EPA Office of Research and Development Landscape Ecology Branch and expanded to include the University of Arizona and the University of Wyoming. It has been under continual development to incorporate new features and functionality and has seen multiple major and minor releases, including but not limited to: AGWA 1.3 for ArcView 3.x in 2002 (initial AGWA release); AGWA 2.0 for ArcGIS 9.x in 2007 (initial ArcGIS/ArcMap 9.x release); AGWA 2.4 for ArcGIS 10.x in 2011 (initial ArcGIS/ArcMap 10.x release); and AGWA 3.x for ArcGIS 10.x in 2013 (current major release for ArcGIS/ArcMap 10.x). KINEROS2 (KINematic runoff and EROSion) is an event oriented, physically-based model developed at the USDA-ARS to describe the processes of interception, infiltration, surface runoff, and erosion from small- to medium-sized watersheds. 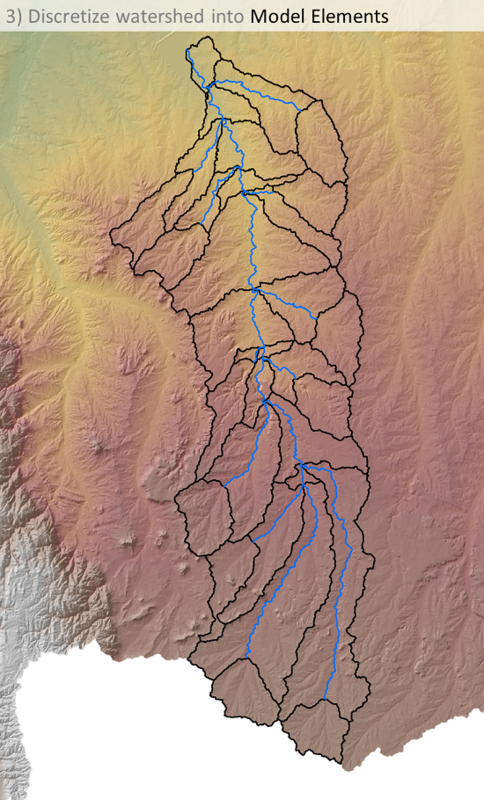 The watershed is represented by a cascade of planes and channels, thereby allowing rainfall, infiltration, runoff, and erosion parameters to vary spatially. KINEROS2 may be used to determine the effects of various artificial features such as urban developments, small detention reservoirs, or lined channels on flood hydrographs and sediment yield. Though KINEROS2 has been applied over a wide range of scales, from plot (<10 m2) to large watersheds on the order of a thousand square kilometers, it has only been thoroughly validated for watersheds on the order of a hundred square kilometers where sufficient observations exist in experimental watersheds For more information on KINEROS2, please visit http://www.tucson.ars.ag.gov/kineros. 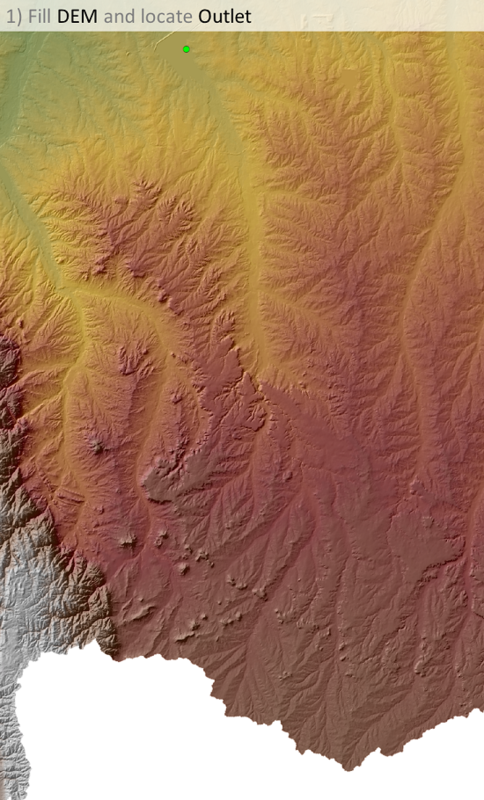 The Rangeland Hydrology and Erosion Model (RHEM) incorporates new erosion and sediment transport models into KINEROS2, links them to the overland flow model of KINEROS2, and also extends the KINEROS2 infiltration model to include an explicit Green-Ampt option. RHEM incorporates a new equation for splash and sheet erosion, which are typically the dominant erosion processes on rangeland sites in good condition with adequate cover. It also represents the process of concentrated flow erosion that may be important if a site is disturbed or if the cover consists of shrubs with large interplant distances of bare ground. RHEM incorporates the interaction between hydrology, erosion processes, and plant forms by parameterizing the hydraulic conductivity, splash and sheet erosion, and concentrated flow parameters based on the classification of plant growth forms. For additional information on RHEM, please visit http://apps.tucson.ars.ag.gov/rhem. 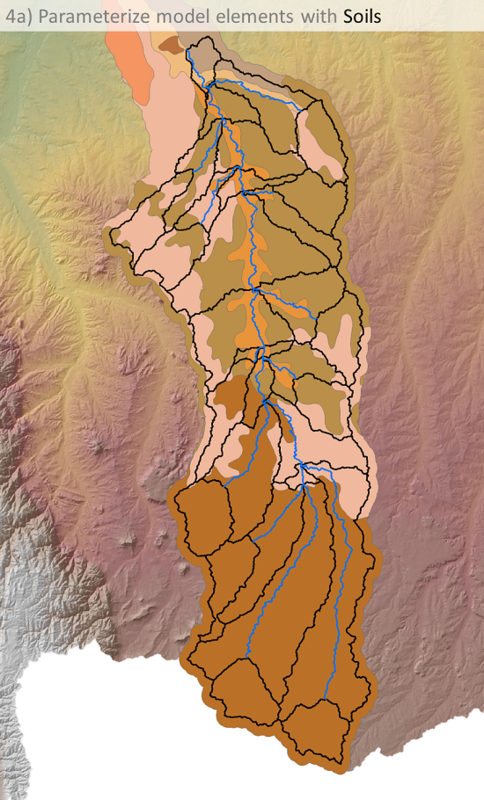 The Soil and Water Assessment Tool (SWAT) is a quasi-distributed model developed at the USDA-ARS to predict the impact of land use, land management practices, and climate change on water, sediment, and agricultural chemical yields in small- to river basin-scale complex watersheds with varying soils, land use, and management conditions over long periods of time (> 1 year). SWAT is a continuous-time model, i.e. a long-term yield model, using daily average input values, and is not designed to simulate detailed, single-event flood routing. For more information on SWAT, please visit http://swat.tamu.edu. 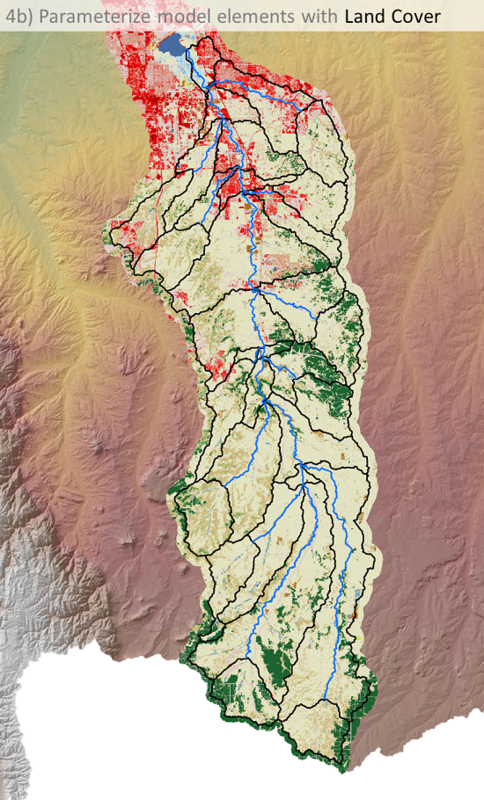 KINEROS-OPUS is a comprehensive, spatially-distributed watershed model designed to simulate the hydrologic and biogeochemical processes of small- to medium-sized watersheds. It is a combination of KINEROS2 and Opus2, a time-continuous soil moisture and nutrient cycling model. KINEROS-Opus models runoff, sediment transport, nutrient cycling (nitrogen, phosphorous, and carbon), water quality, and chemical runoff processes, in addition to the movement of water, chemicals, and nutrients through the soil profile. Model results that can be displayed in AGWA are shown in the table to the right. This option allows managers to identify problem areas where management activities can be focused, or to anticipate sensitive areas in association with planning efforts. AGWA is designed to evaluate relative change and can only provide qualitative estimates of runoff and erosion. It cannot provide reliable quantitative estimates of runoff and erosion without careful calibration. It is also subject to the assumptions and limitations of its component models, and should always be applied with these in mind. AGWA is publicly available for download in several different versions depending on GIS software platform: AGWA 1.5 for ArcView 3.x, AGWA 2.x for ArcGIS 9.x, and AGWA 3.x for ArcGIS 10.x. AGWA requires an active Spatial Analyst extension corresponding to the ESRI software used.